Founded in 1998, Truck Festival is in its 18th year and, after its immense success in 2015, has now added an extra day to their weekend, welcoming families, teenagers, adults, newcomers and their loyal fans. They’ve already had double the amount of tickets sold currently than in 2015, only going to prove how in demand Truck Festival is, and this may have something to do with the amazing line up they’ve got in store for us this year. The weekend’s atmosphere is incredible. With under-12s entering the festival for free, the festival family scene was big. With a fully stocked children’s tent, and Mussel Beach, the festival was ideal for families of a range of ages. This is a lovely weekend to hang out with friends in the sunshine, whilst listening to music and watching the children play until they fell asleep exhausted. 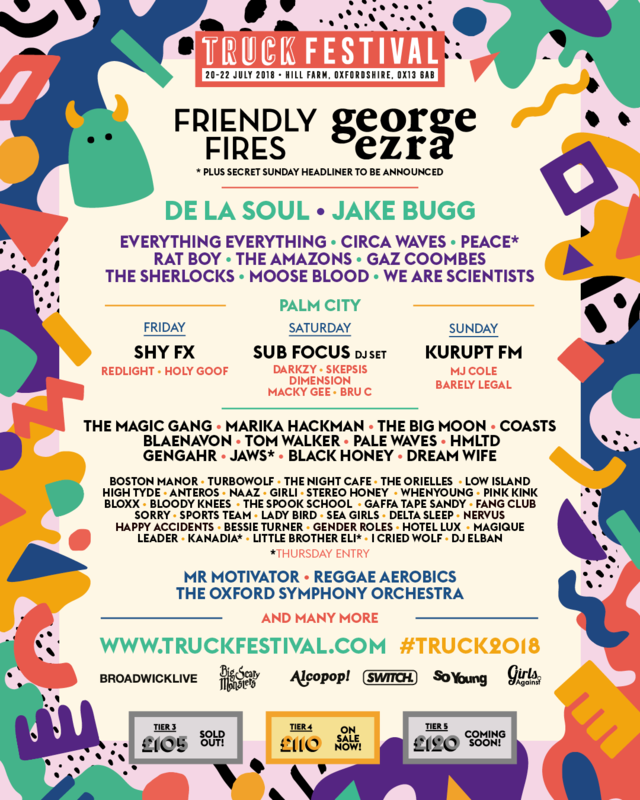 Truck Festival will be held from 20th-22nd of July 2018 in Steventon, Oxfordshire.